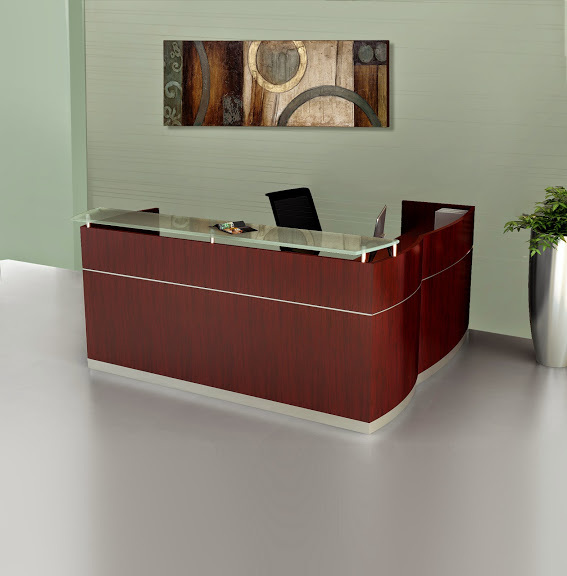 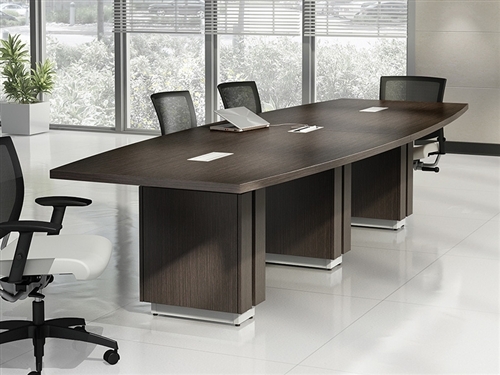 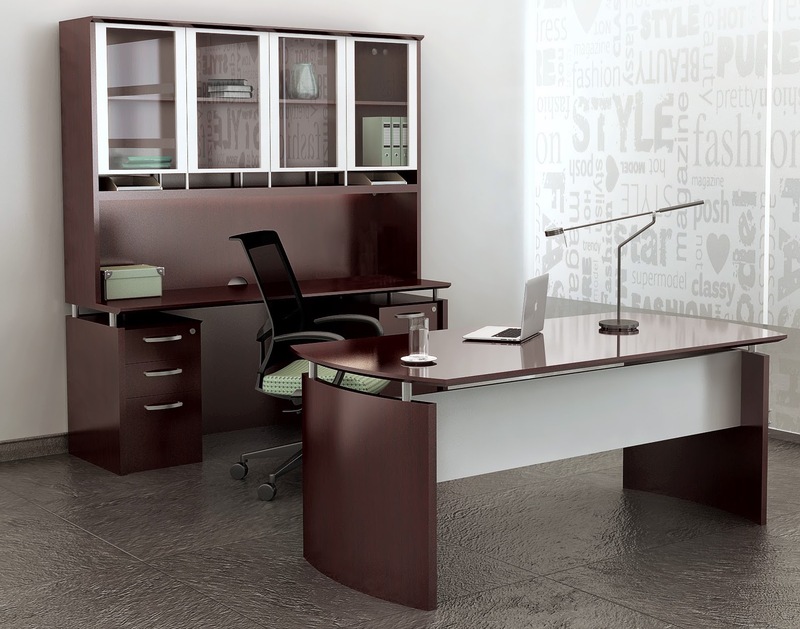 Create a cutting edge office interior with this ergonomic executive desk from the Mayline Sterling furniture collection. 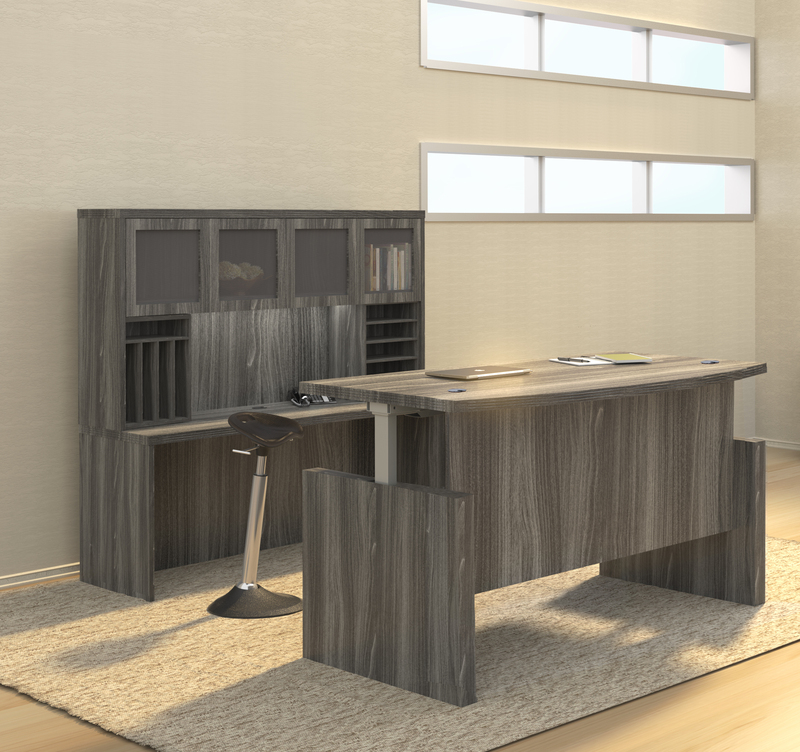 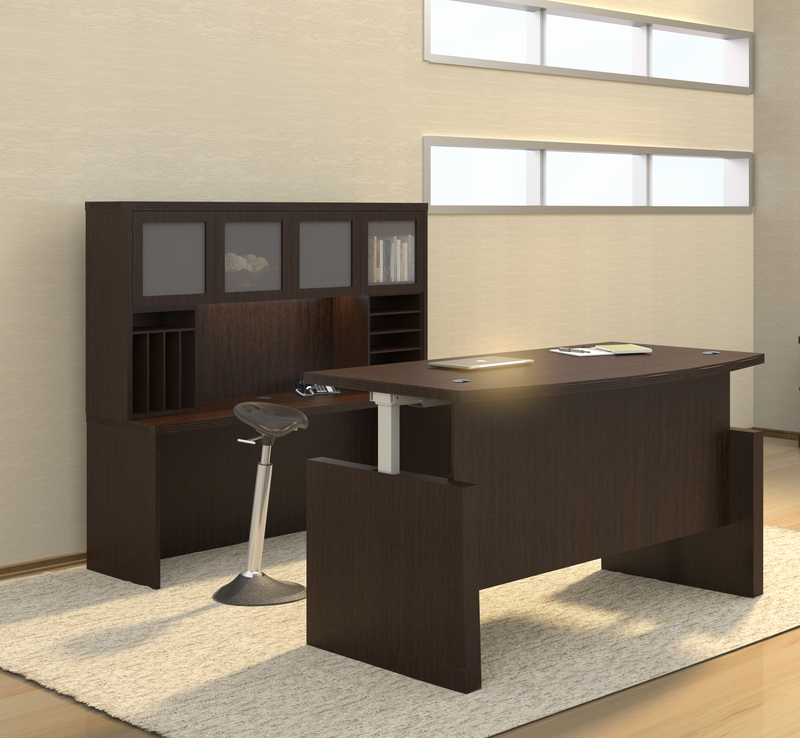 The STL37H2 model U shaped desk with sit to stand bridge features a textured driftwood finish that pairs perfectly with opaque acrylic accents. 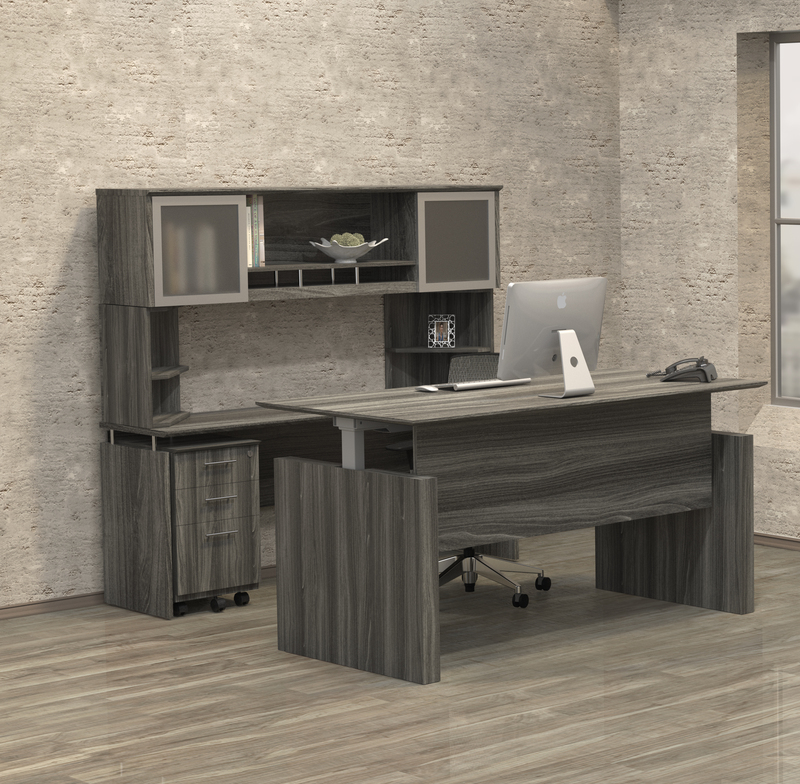 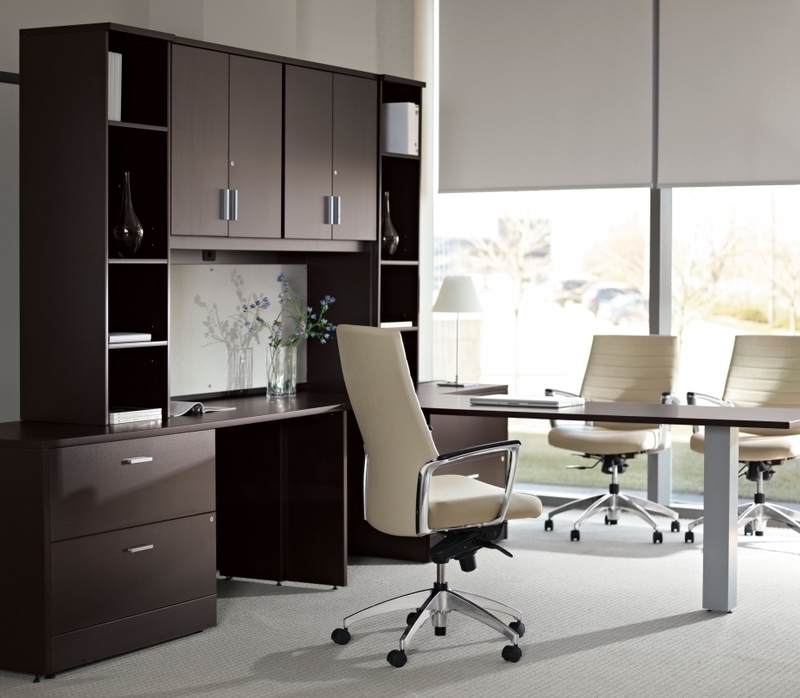 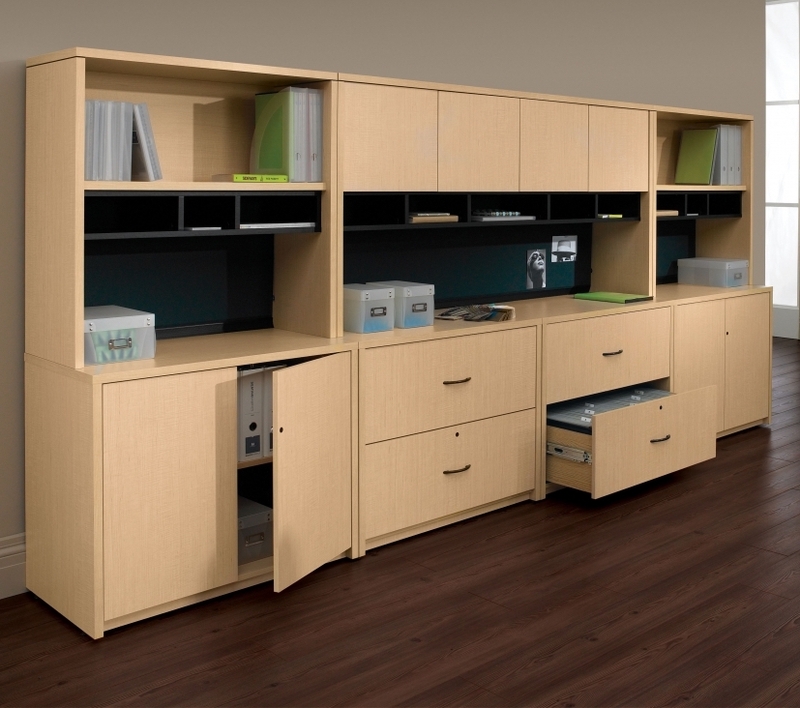 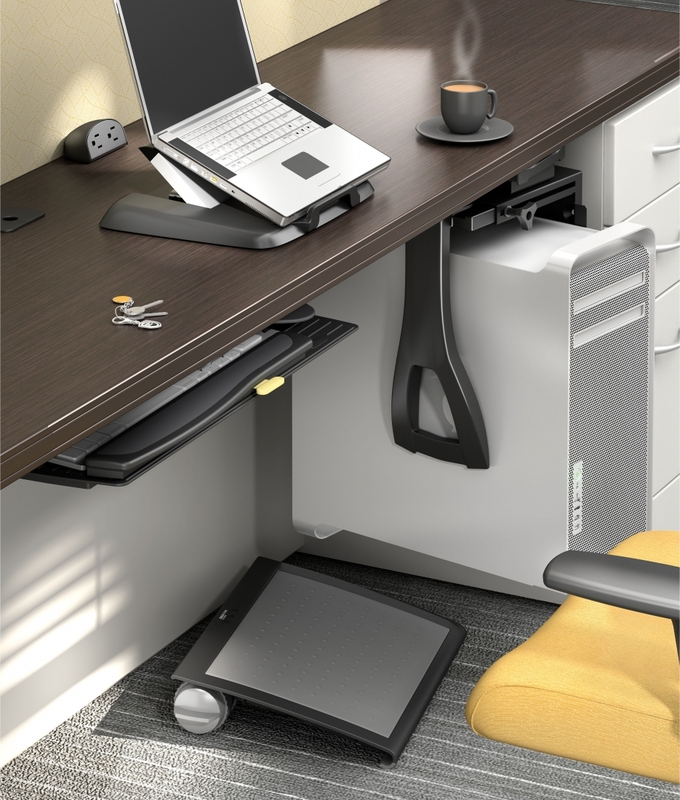 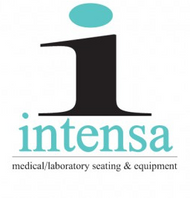 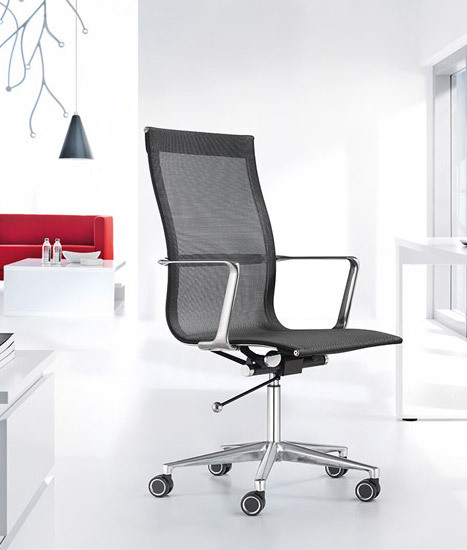 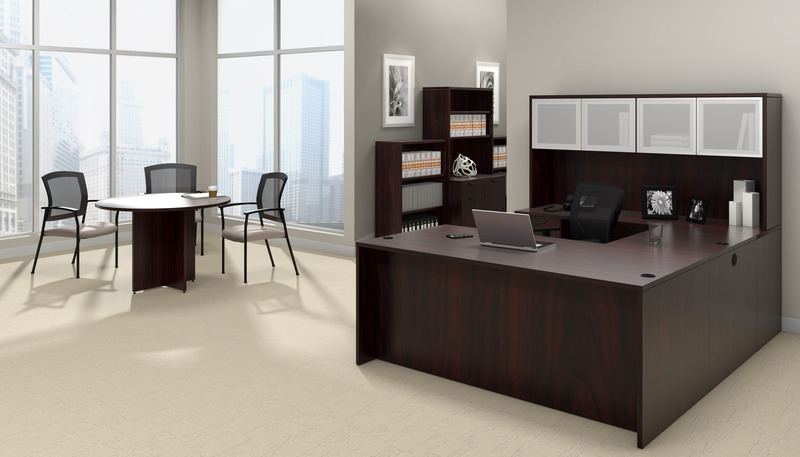 This luxurious ergonomic furniture set offers a variety of unique storage components to help maximize office space and organizing potential.